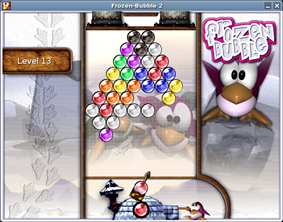 Linux gaming started largely as an extension of the already present Unix gaming scene, with both systems sharing many similar titles. These games were either mostly original or clones of arcade games and text adventures. A notable example of this was the so-called "BSD Games", a collection of interactive fiction titles. The free software and open source methodologies which spawned the development of the operating system in general also spawned the creation of various early free games. 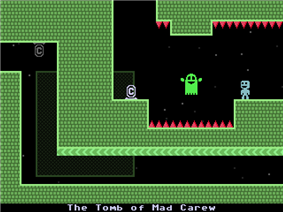 Popular early titles included NetHack, Netrek, XBill, XEvil, xbattle, Xconq and XPilot. As the operating system itself grew and expanded, the amount of free and open source games also increased in scale and complexity. The beginning of Linux as a gaming platform for commercial video games is widely credited to have begun in 1994 when Dave D. Taylor ported the game Doom in his spare time to Linux as well as many other systems. From there he would also help found the development studio Crack dot Com, which released the video game Abuse, with the game's Linux port even being published by Linux vendor Red Hat. 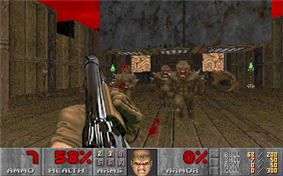 id Software, the original developers of Doom, also continued to release their products for Linux. Their game Quake was ported to Linux in 1996, once again by Dave D. Taylor working in his free time. Later id products continued to be ported by David Kirsch and Timothee Besset respectively, a practice that continued until the studio's acquisition by Zenimax Media in 2009. In 1995 DUX Software contracted Don Hopkins to port SimCity to Linux. Other early commercial Linux games included Hopkins FBI, an adventure game released in 1998 by MP Entertainment, and Inner Worlds in 1996, which was released for and mostly developed on Linux. In 1998, two programmers from Origin ported Ultima Online to Linux. On November 9, 1998 a new software firm called Loki Software was founded by Scott Draeker, a former lawyer who became interested in porting games to Linux after being introduced to the system through his work as a software licensing attorney. Loki, although a commercial failure, is credited with the birth of the modern Linux game industry. Loki developed several free software tools, such as the Loki installer (also known as Loki Setup), and supported the development of the Simple DirectMedia Layer, as well as starting the OpenAL audio library project. These are still often credited as being the cornerstones of Linux game development. They were also responsible for bringing nineteen high profile games to the platform before its closure in 2002. Loki's initial success also attracted other firms to invest in the Linux gaming market, such as Tribsoft, Hyperion Entertainment, Macmillan Digital Publishing USA, Xatrix Entertainment Philos Laboratories, and Vicarious Visions. During this time Michael Simms founded Tux Games, one of the first online Linux game retailers. In 2001 - 2003, we can observe that several well-known indie game companies e.g. CipSoft, Chronic Logic, Illwinter Game Design, Introversion Software, and S2 Games started to publish games for Linux, and they are exceptions who successfully have ported or sold games to Linux for such a long period of the time. After Loki's closure, the Linux game market experienced some changes. Although some new firms, such as Linux Game Publishing and RuneSoft, would largely continue the role of a standard porting house, the focus began to change with Linux game proponents encouraging game developers to port their game products themselves or through individual contractors. 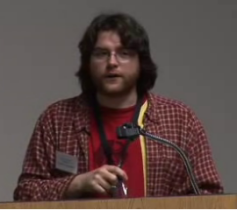 Influential to this was Ryan C. Gordon, a former Loki employee who would over the next decade port several game titles to multiple platforms, including Linux. Around this time many companies, starting with id Software, also began to release legacy source code leading to a proliferation of source ports of older games to Linux and other systems. This also helped expand the already existing free and open source gaming scene, especially with regards to the creation of free first person shooters. 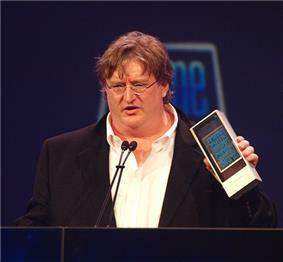 Valve co-founder Gabe Newell has stated that "Linux and open source are the future of gaming". In March 2014 GOG.com announced they would begin to support Linux titles on their DRM free store starting the same year, after previously stating they would not be able to due to too many distributions. GOG.com began their initial roll out on July 24, 2014 by offering 50 Linux supporting titles, including several new to the platform. Humble Bundle sales for Linux account for 18%. As of March 2014, Steam reports that less than 1.2% of users are using some form of Linux as their platforms primary operating system. The Linux kernel has been ported to numerous instruction sets and platforms; where the middleware has not been ported, new middleware was written. Where the most parts were released under the GNU GPL, which is a strong copyleft license, these platforms have remained open for everybody. The achievable performance when running a game on top of the Linux kernel with the available device drivers is the only limit. The openness of the Linux software platform will always keep the door open for x86 and ARM competitors such as MIPS and others to design and sell a hardware platform, or various peripherals. As an example, Oculus Rift, which is an upcoming virtual reality head-mounted display, supports the Linux gaming platform. When employing current (27 October 2013) proprietary Linux drivers from Nvidia respectively AMD, the real-world performance of games running on Linux is mostly comparable with them running on Windows 8.1. It is mostly software engineers and programmers who further compare the performance of these proprietary drivers with the performance of the available free and open-source graphics device drivers. Intel is known for distributing their graphics drivers only as free and open-source software for all operating systems they support. Compared to the AMD APUs, Intel dedicates much less die-surface to the GPU. An operating system based on the Linux kernel and customized specifically for gaming, could adopt the vanilla Linux kernel with only little changes, or—like the Android (operating system)—be based on a relative extensively modified Linux kernel. It could adopt GNU C Library or Bionic or something like it. The entire middleware or parts of it, could very well be closed-source and proprietary software; the same is true for the video games. There are free and open-source video games available for the Linux operating system, as well as proprietary ones. GLFW zlib License C N/A Ada, C#, Common Lisp, D, Go, Haskell, Java, Python, Rebol, Red, Ruby, Rust Yes Yes Yes GLFW is a small C library that lets you create and manage windows with OpenGL contexts, enumerate monitors and video modes as well as handle inputs such as keyboard, mouse, joystick, clipboard and time. Grapple LGPL-2.1+ C Yes Yes Yes Grapple is designed to be a simple network layer, allowing the addition of multiplayer features to a game (or other application) for as little as a dozen lines of code. However it is also fully featured, so if you want more from your networking, you can have it. Numerous source code editors and IDEs are available for Linux, among which are Sublime Text, Code::Blocks, Qt Creator, Emacs, or Vim. Wine is a compatibility layer that provides binary compatibility and makes it possible to run software, that was written and compiled for Microsoft Windows, on Linux. The Wine project hosts a user-submitted application database (known as Wine AppDB) that lists programs and games along with ratings and reviews which detail how well they run with Wine. Wine AppDB also has a commenting system, which often includes instructions on how to modify a system to run a certain game which cannot run on a normal or default configuration. Many games are rated as running flawlessly, and there are also many other games that can be run with varying degrees of success. The use of Wine for gaming has proved controversial in the Linux community as some feel it is preventing, or at least hindering, the further growth of native gaming on the platform. Linux has been ported to several game consoles, including the Xbox, PlayStation 2, PlayStation 3, GameCube, and Wii which allows game developers without an expensive game development kit to access console hardware. Several gaming peripherals also work with Linux. The game engine is important for players and developers alike. The development-kit is build around it, game editors use it to build levels. Tools such as Blender or 3ds Max are employed to create the geometry of object and/or animations of those. Game data has reached enormous amounts. While game engines are sometimes released under some free software license, instead or additionally to licensing them, the game data is usually not. The game engine is the software, i.e. some algorithms, solely responsible for the game mechanics. Thus there are completely different game engines for First-person shooters, strategy video games, etc. Besides the game mechanics we also need software to do calculations regarding graphics, audio, video, physics, vegetation, input-handling, you name it. Computer games are considered to be among the most complex software there is! Graphics: for FPS e.g., game mechanics calculates with vector data and 3D polygon mesh data. This 3D data needs to be transformed into a picture that can be sent to the computer monitor. This is called rendering. Well known rendering techniques used in computer games are rasterisation and (real-time) ray tracing. The software doing the rendering is called the rendering engine. The rendering is software completely distinct form the game engine. It augments the game engine, but since almost any computer games are played via Monitor, a rendering engine is obligate. And since it can be much more difficult to program an efficient rendering engine that some game engine, instead of pairing game engines with rendering engines, it is done the other way around. Audio: 3D audio effect and other techniques require calculations as well. Software doing such calculations, could be called the "audio engine". E.g. FMOD is software doing this. SoundRenderer as well but not for computer games. Other software augmenting the game engine, the most common term is game engine middleware. a physics engine is a potential augmentation that can be incorporated by a game engine. A well-known one is Havok. game editor: software to create the game levels and other game elements can be distinct such as e.g. GtkRadiant or heavily interwoven with the game engine. Software such as CryEngine, that can be licensed, is much more than just a game engine. It is rather a software suite, that includes most of the above-mentioned software and more. And when it is licensed by some 3rd party, the code for the "game engine", is probably the one being adjusted the most! CryEngine has more in common with an integrated development environment (IDE) or a software development kit (SDK) than with a mere "game engine"! 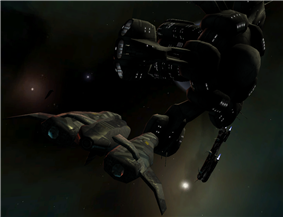 Slingshot two-person spaceship shooting near planetary gravity. Hedgewars is a clone of Worms. Worms replaced with hedgehogs. Minetest is a free and open-source C++ clone of Minecraft with mods. OpenAge is an under-development free implementation of the Age of Empires II: The Age of Kings engine available on GitHub. Train Simulation Framework is a train simulator which can read the formats originally used for BVE Trainsim. Frictional Games released Linux versions of both Penumbra: Black Plague and Penumbra: Overture, as well as the expansion pack Penumbra: Requiem. They also released Amnesia: The Dark Descent for Linux simultaneously with the Windows and Mac OS X versions. S2 Games released Linux clients for their titles Savage: The Battle for Newerth, Savage 2: A Tortured Soul and Heroes of Newerth. Wolfire Games released a Linux version of their game Lugaru and they will release its sequel Overgrowth for Linux. David Rosen's Black Shades was also ported to Linux. Arctic Paint has released a Linux version of Number Drill. Charlie’s Games has released a Linux version of Bullet Candy Perfect, Irukandji, Space Phallus and Scoregasm. Illwinter Game Design released Conquest of Elysium II, Dominions: Priests, Prophets and Pretenders, Dominions II: The Ascension Wars, and Dominions 3: The Awakening for Linux. Introversion Software released Darwinia, Uplink, and DEFCON. Cartesian Theatre is a Vancouver, Canada, based software house specializing in free, commercial, games for GNU/Linux. They have one title currently under active development, Avaneya. Kot-in-Action Creative Artel released their Steel Storm games for Linux. Hazardous Software have released their game Achron for Linux. LGP-associated but freelance consultant Frank C. Earl is porting the game beta releases for Medal of Honor: Allied Assault and Devastation, versions of America's Army, and the titles Prey, Aquaria, Braid, Hammerfight and Cogs. Having ported games to Mac OS X since 1996, video game publisher Feral Interactive released XCOM: Enemy Unknown, its first game for Linux, in June 2014. Some id Software employees ported the Doom series, the Quake series, Return to Castle Wolfenstein, Wolfenstein: Enemy Territory and Enemy Territory: Quake Wars. 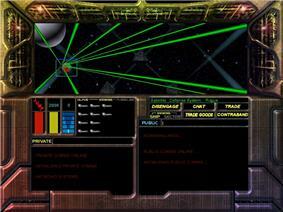 Some games published by GarageGames which have Linux versions include Bridge Builder, Marble Blast Gold, Gish, ThinkTanks, Tribal Trouble, and Dark Horizons: Lore Invasion. MP Entertainment released Hopkins FBI and Crack dot com released Abuse for Linux, becoming one of the first developers to release a native port. Inner Worlds, another early commercial Linux title, was released for and partly developed on Linux. Philos Laboratories released a Linux version of Theocracy on the retail disk. Absolutist has supported Linux for a number of years. GLAMUS GmbH released a Linux version of their game Mobility. Vicarious Visions ported the space-flight game Terminus to Linux. ^ "Ghost of Fun Time's Past". ^ Zimbinski, Bob (January 1, 1999). "Getting Started with Quake". ^ "Partnership with Crack dot Com Brings Games to Linux" (Press release). ^ Chalk, Andy (2013-02-06). "John Carmack Argues Against Native Linux Games". ^ Kuhnash, Jeremy (February 9, 2000). "Hopkins FBI]". Linux.com. ^ "Websites And Resources – The Linux Gamers' HOWTO". Linux Online. ^ Hitchens, Joe (September 19, 2001). "Internet Based Software Development". Sleepless Software Inc.
^ "Ultima Online for Linux". ^ "Interview: Scott Draeker and Sam Latinga, Loki Entertainment". ^ "Interview with Ryan Gordon: Postal2, Unreal & Mac Gaming – Macologist". ^ Kreimeier, Bernd (January 1, 2001). "The Story of OpenAL". ^ Hills, James. "Loki and the Linux World Expo – GameSpy chats with Linux legend Scott Draeker about the future of Linux gaming". GameSpy. ^ "Linux Game Publishing Blog, LGP History pt 1: How LGP came to be". ^ "Quake, Meet GPL; GPL, Meet Quake". ^ Orland, Kyle (2011-02-28). "GDC 2011: Humble Indie Bundle Creators Talk Inspiration, Execution". ^ Sneddon, Joey (2011-12-21). 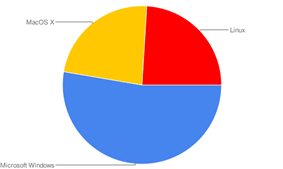 "Linux Users Continue To Pay Most for the @Humble Indie Bundle". ^ a b c "The state of Linux gaming in the SteamOS era". ^ "Gabe Newell: Linux is the future of gaming, new hardware coming soon". ^ Lein, Tracey (2012-07-16). Left 4 Dead 2' to be first Valve game on Linux"'". ^ Hillier, Brenna (2012-07-24). "Serious Sam 3: BFE headed to Steam Ubuntu". ^ Larbel, Michael (2010-05-25). "Valve's Linux Play May Lead More Games To Follow Suit". ^ Larbel, Michael (2010-11-18). "Egosoft Wants To Bring Games To Steam On Linux". ^ "Editorial: Linux Gaming Will Be Fine Even Without Steam Machines Succeeding". ^ Makuch, Eddie (23 September 2013). "Valve reveals SteamOS". GameSpot. Retrieved 25 September 2013. ^ "GOG.com Are Going To Support Linux, Confirmed!". ^ "GOG Com Now Officially Support Linux Games". 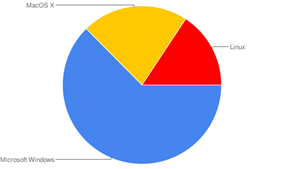 ^ "Steam Hardware & Software survey". ^ "Ubuntu Linux Gaming Performance Mostly On Par With Windows 8.1". 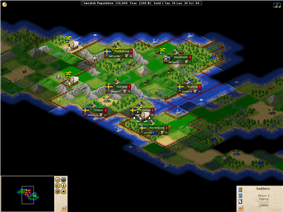 ^ """Multi-monitor: Civilization V on A10-7850K "Kaveri. ^ Hills, James. "Ports vs. Wine". GameSpy. ^ "Xbox Linux Wiki". Xbox-linux.org. Retrieved 2010-08-18. ^ Diehl, Mike (2007-10-18). "Free Games for Linux". ^ "openage - free (as in freedom) age of empires II engine". SFT Technologies. Retrieved 2015-04-27. ^ "SteamOS & Linux Games". SteamDB. Retrieved 13 August 2015. ^ "Linux Client?". Syndicates of Arkon game forums. ^ "http://playthisthing.com/katawa-shoujo". Play This Thing. Retrieved 2010-08-18. ^ "PPC games made by Loki software – rrelated posts LinuxGames". ^ "Candy Cruncher Linux Sparc". September 9, 2005. ^ "Linux Game Publishing: Interview with Michael Simms". ^ "Dominions II: The Ascension Wars 2.12". June 8, 2004. Auteria (2007) – A fantasy 3D free-to-play MMORPG. 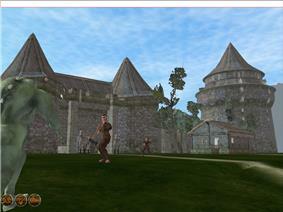 The Mana World – 2D medieval fantasy MMORPG, free to play and open source (GPL'd) – first released in 2005. Tibia – A 2D Medieval fantasy game. Free-to-play with premium content. game engine. There are Linux clients available.